Duffle bag in 50 micron tarpauline. 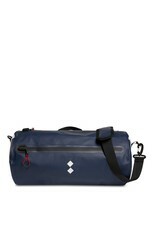 The closure and front pocket have a taped zip and rubber stop. 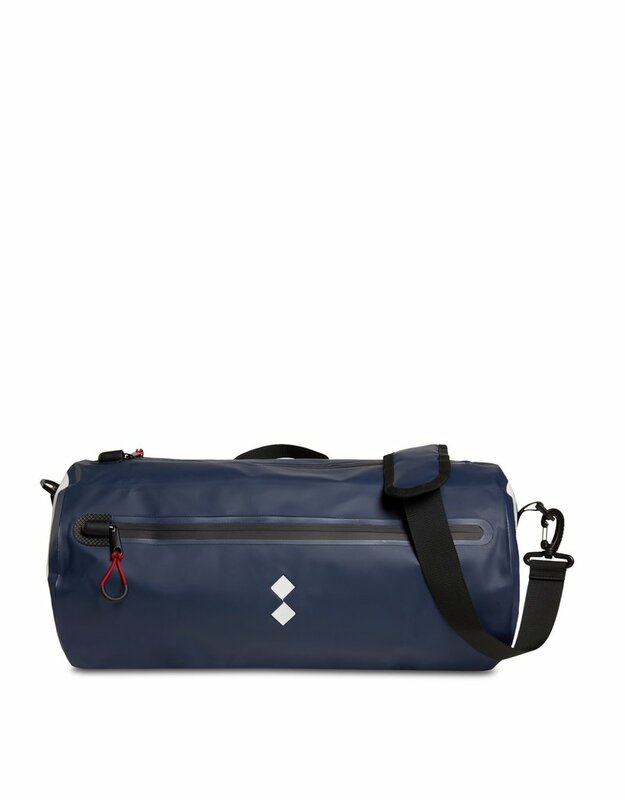 Thermotaped seams, water repellent, sides in contrasting color, adjustable handle and shoulder strap. 3D customization. Red accents for U pull tabs. 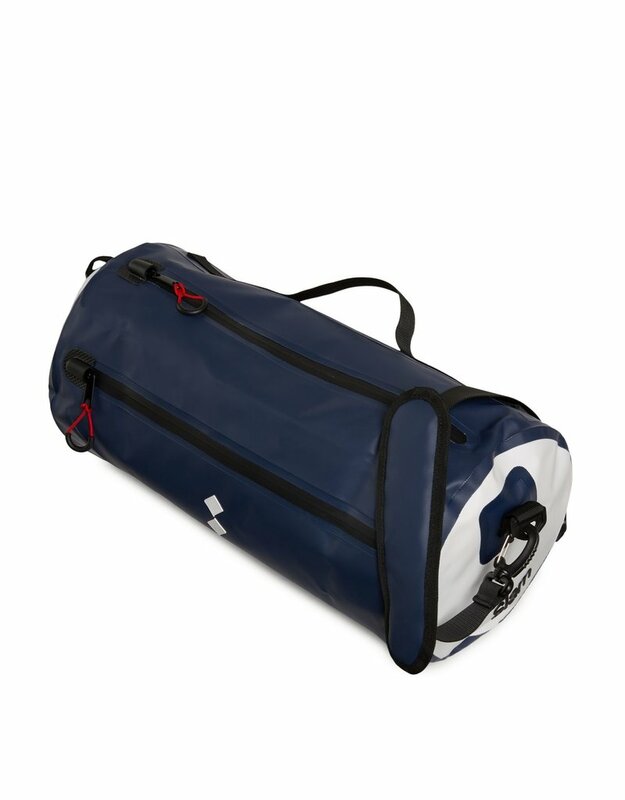 With innovative fabrics, details and materials, the duffle bag is very roomy.